Bruce Goldwell is sponsoring an event on Facebook for the post launch of THRIVE by Le-vel. A new company just launched this last month in the USA, Canada and UK. Bruce Goldwell is looking for people that would like to get in on the ground floor. Everyone that gets in now will be at the TOP as the company expands into other countries world wide. Bruce has created an event on Facebook as a post launch promotion to build a team to promote this new product. IS HEALTH AT THE TOP OF YOUR PRIORITY LIST? 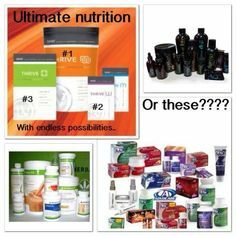 The new company is called THRIVE and the products are all health related. The new THRIVE patch allows you to wear nutrition (wearable nutrition) on your skin and is absorbed into the body. I just received my first shipment of the THRIVE shake mix and I the taste is second to none. The shake mix is second to none. But, don't take my word for it. Come check out the products yourself. Simply order a sample package as a customer and if you are not completely satisfied then no hard feelings. You might even like the product enough that you will want to become a promoter. Becoming a PROMOTER is free and you can begin promoting THRIVE immediately after registering. "It's NOT too late to THRIVE. Le-Vel's THRIVE Experience is an 8 week premium lifestyle plan, to help individuals experience and reach peak physical and mental levels. You're going to live, look, and feel Ultra Premium like never before! Results from the THRIVE Experience are high impact, and can slightly differ for everyone – depending on which areas of your lifestyle need the most help – and depending on your 8 week goal. Whether your goal is to lose weight, get in the best shape of your life, or simply be the best you can be, we know the THRIVE 8 Week Experience will get you THRIVIN' in all areas of your life!" I want to help those that are motivated by opportunity to get off to a fast start thus my Facebook event. Come visit the event to find out what I am going to do to help those who jump on this opportunity to build a team of promoters.